These connectors made from the highest quality materials to ensure you get the best connection. 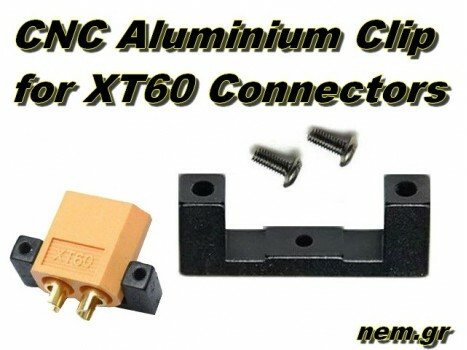 These connectors designed for RC applications What you..
Ferrite Ring is a Passive Noise Filter EMI, you can use it with servo extensions, ESCs, RF Modules, etc. What you Get:1 x Ferrite Ring Pass.. Flexible Spiral Wrap for Wirings. Protects your Cables and your Machine.What You Get:1 x Meter Flexible Spiral Wrap Black color..
Heat Shrink Tube 3mm -1mtr. 3.0mm Heat Shrinkable Tube. Choose your favor color (available options)Heat Shrink is used to insulate wires offering abrasion resistance and environm..
5.0mm Heat Shrinkable Tube x 200mm each color (Red, Blue, Yellow)Heat Shrink is used to insulate wires offering abrasion resistance and environmental ..
Expandable Rod Cover Braided Protection Sleeve Yellow colorFeatures:Widely used in Wire, Cable, and Rod/Boom Cover, computer cable, computer periphera..
Heat Shrink Tube 4mm -1mtr. 4.0mm Heat Shrinkable Tube. Choose your favor color (available options)Heat Shrink is used to insulate wires offering abrasion resistance and environm..
Heat Shrink Tube 8mm -1mtr. 8.0mm Heat Shrinkable Tube. Choose your favor color (available options)Heat Shrink is used to insulate wires offering abrasion resistance and environm..